White House officials say U.S. President Donald Trump will warn of “the dangers of socialism” in a speech Monday in support of Venezuelan opposition leader Juan Guaido, who is recognized by the United States as the South American nation’s interim president. 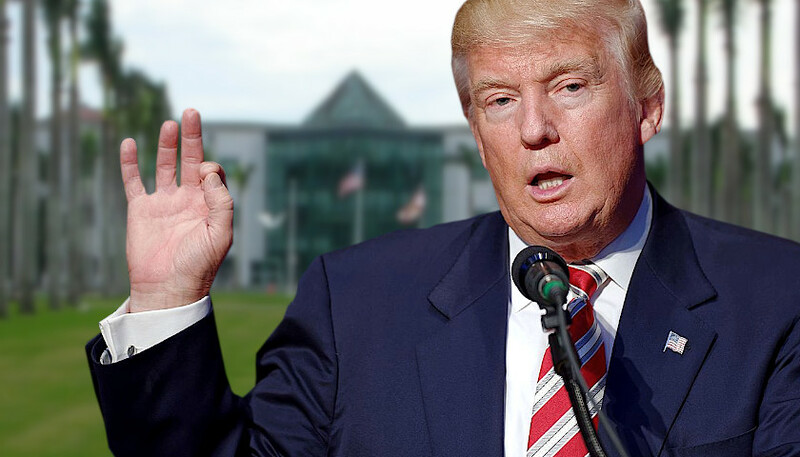 Trump will make remarks at Florida International University, as his administration continues to speak out against Venezuela’s socialist President Nicolas Maduro.The school is in a Miami neighborhood that has the largest concentration of Venezuelans in the U.S. While Trump has refused to rule out a U.S. military intervention in Venezuela, Congressman Eliot Engel, the Democratic chairman of the House Foreign Affairs Committee, said during a congressional hearing Wednesday that lawmakers would not support such a move. Trump was among the first of 51 world leaders to recognize the head of the nation’s national assembly, Guaido, as the interim president. Guaido declared himself the country’s leader following mass protests against Maduro. Venezuela suffers from the worst inflation rate in the world, along with food and supply shortages. Three million refugees — about 10 percent of the country’s population — have fled the country. In Wednesday’s testimony before the House Foreign Affairs Committee, administration officials told lawmakers the United States is researching all options to get aid to the Venezuelan people. The administration’s special representative to Venezuela, former Reagan and Bush administration official Elliott Abrams, said U.S. sanctions against the Maduro regime are working. Abrams also refused to rule out the possibility of U.S. military intervention. Democratic lawmakers question Abrams’s credibility to serve as the U.S. representative in the region, citing the convictions he received — and eventually was pardoned — for his role in the Iran-Contra affair in the 1980s. Abrams told lawmakers the solution to Venezuela’s political crisis was ultimately not up to the United States. “It’s not for us to choose the next president of Venezuela. It’s for Venezuelans. We can help, as a lot of other countries can help, in facilitating a free election,” he said. At the United Nations on Thursday, Venezuelan Foreign Minister Jorge Arreaza addressed reporters, flanked by diplomats from a dozen countries, including Russia, China, Iran, Syria, North Korea and Cuba. He announced that the nations are forming a coalition to defend international law and the principles of the U.N. Charter, including the non-intervention in the domestic affairs of member-states and the duty of all states to not threaten others with the use of force. VOA’s Katherine Gypson, Margaret Besheer, and Steve Herman contributed.